Everyone loves Bingo. Everyone will love it more when you involve the Periodic Table. 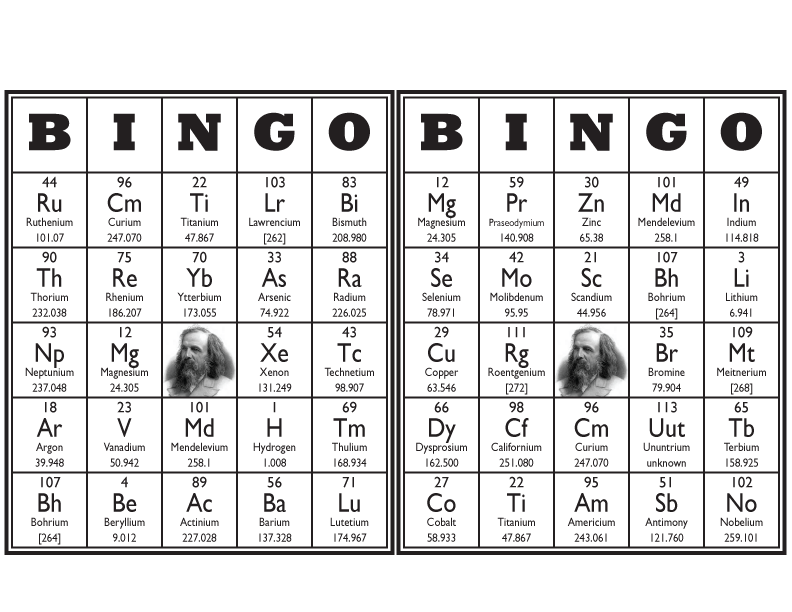 This is a sample pair of Periodic Table Bingo cards. Each card contains 24 elements randomly placed around a portrait of Dmitri Mendeleev. A set of 30 different Bingo cards is available in one PDF file. In addition to the cards, there is a complete set of periodic table element cells. These cells can be used to draw the names of elements to play the game. Get 5 in a row, win the game! Get a double win by having fun learning the elements of the periodic table.